Are Painted Minis Essential to Miniatures Wargaming? Karwansaray Publishers sought responses from wargamers about Sam’s column. 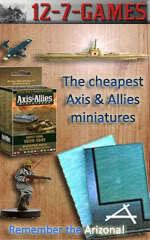 They hit up The Miniatures Page and the Wargames, Soldiers, and Strategy Facebook page. In Jonathan’s editorial he discussed his 1/72 scale (20mm) Imperial Roman project for Hail Caesar. Photos of the project can be found on the Wargaming Recon Facebook page. We shared an interesting cat photo on our Facebook page. Visitors were asked to caption it. Many funny and unique captions were submitted. Listener Andrew asked a question about the history of American Wargaming. Jonathan suggests listeners try episodes Russ Lockwood Game Designer & Editor and More Secrets of Wargame Design for a glimpse into American wargaming’s past.